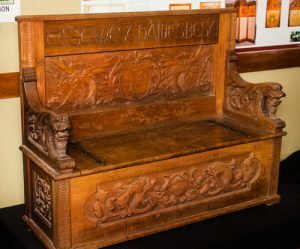 Settle carved 1900 for Richard Charles Field . Who was Nellie Payne? This settle was carved for Richard Charles Field (1866-1961), Nellie’s younger brother.